Matthew Dunne – Exclusive mix for bejbi.se. The 36:th of our series of exclusive mixes..
Click ”see the rest of this entry” to read more about Matthew Dunne and to download the mix. Matthew Dunne is an up and coming dj/producer hailing from Ireland. Starting at a tender age playing music, he started out in the harder side of Electronic music following artists like Tidy Boys, Lee Haslam, Bk, Greg Brrokman, Caroline Banx, Lisa Lashes. Anyhow as the years passed on he started to play a more softer sound like House, Trance, Electro and some Techno. This quickly changed to playing full on Trance and Tech Trance when he first heared the legendary Bosh cds of the one and only Eddie Halliwell. Matthew was soon hooked on this sound and hasn’t looked back since to this day now following artists like Randy Katana, Mac Zimms, Richard Durand, Eddie Halliwell, Sander Van Doorn and many others. 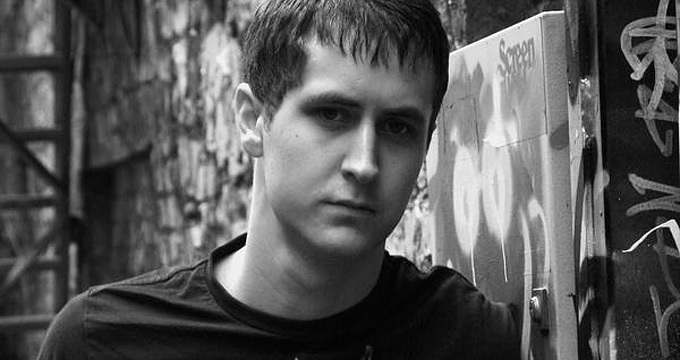 In 2009 Matthew decided to take things one step further and get into the world of production, producing the very Techy of beats which have seen him rack up support on the dance scene by the likes of Tiesto, Judge Jules, Markus Schulz, Sean Tyas, Jochan Miller, Fred Baker, Ernesto Vs Bastian, Fabio Stein, Alex Kidd, Lee Haslam and many many more. On his debut year as a producer he managed to get 4 of his tracks featured on 4 different compilations, such as Trance Energy 2011, Global Trance Ireland, Trance Ibiza Anthems 2010 and Trance Sessions 7 also on his debut year as a producer he has managed to rack up Three radio 1 plays by the legend that is Judge Jules. As a dj Matthew has played some of the best clubs in Ireland such as The Redrooms, The Vaults, The Zoo, The Frontpage, warming up for some of the best djs on the planet such as Richard Durand, Fred Baker, Randy Katana, Tidy Boys, Amber D, Lisa Pinup, Nenes, Kidd Kaos, Rodi Styles, Cally Gage and many more. He also has his own show on Greece radio station Liquid Fm once a month playing the best in Tech Trance/Trance/Techno and Tech House. Now he is the 36:th out for a series of exclusive mixes recorded for bejbi.se by our favorite dj´s, both well known, and unknown, that we will publish once a week untill we run dry. Download Matthew Dunne’s Exclusive mix here (right click and save as) or listen to it live on Soundcloud or just press play below here. If you want to hear more of Matthew Dunne, check out his homepage for mixes where he regularly put up new promomixes, soundcloud.com/matthew-dunne and become a fan on his facebookfan-site.